The tilt between Tunisia and England will be played at the Volgograd Arena in Volgograd on June 18th. The Three Lions are labeled as favorites to finish among the two best teams in the group with Belgium, so a victory here is a must, while the Eagles of Carthage know that their only chance to reach the Round of 16 is to avoid a defeat on this one. Tunisia qualified to their fifth World Cup and are looking to advance from the group stage for the first time in the country’s history as they recorded just one win in the previous four participations. They made it to the WC finals three times in a row from 1998 to 2006, but the Eagles of Carthage missed out on tournaments in South Africa and Brazil. On the other hand, the former world champions made it to their 14th World Cup, tenth consecutive, and after a disastrous performance in Brazil four years ago when England finished in the group stage with just one point, they are desperate to make amends this time around in Russia. The Three Lions’ biggest success is a title in 1966 when they hosted the tournament, while they also have the fourth place in Italy 1990. Nabil Maâloul’s side suffered only one defeat in the last ten games and it was in the latest one as they fell short against Spain, 1-0. Tunisia played five friendly matches as a preparation for the World Cup and they beat Iran and Costa Rica with identical result 1-0, while they drew with Portugal and Turkey, scoring a couple of goals in each game. Gareth Southgate’s team is in a fantastic run of ten games without a loss as they didn’t suffer one for more than a year when they lost 3-2 to France in a friendly. England played six games prior to their trip to Russia and faced some world-class opponents such as Germany, Brazil, Netherlands, and Italy, defeating the Netherlands and keeping the clean sheet against the Brazilians and Germans. The Three Lions beat Nigeria and Costa Rica in the last two matches, scoring a pair of goals in each and conceding one to Nigeria. The vice-captain Wahbi Khazri is the creative force in this Tunisia team and the No. 10 is also the nation’s leading scorer with 12 goals in 35 caps, so he should pose the biggest threat to England’s defense. Khazri has experience playing in England as he represented Sunderland for one season in the Premier League. England’s captain Harry Kane is expected to drive this team forward and he’s one of the favorites to win the golden boot at the tournament, so Kane will surely get opportunities to score against not so good Tunisian defense. These rivals met once so far and it was 20 years ago at the World Cup in France when England won 2-0, and I expect to see something similar on this one. 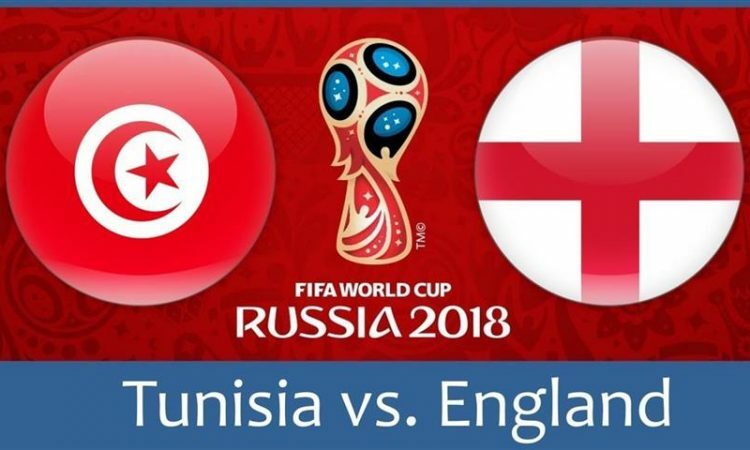 England’s defense proved to be quite sturdy and I don’t think the Tunisians will find the way to the net, while the Three Lions should score one or two, so I am backing England to win without conceding.